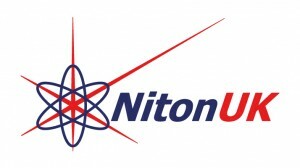 Niton UK is the market leader in handheld XRF analysis. Niton instruments are used in industries from mining and exploration to alloy identification and scrap metal recycling. They offer fast, accurate, elemental analysis. From our headquarters in Hampshire we are the sole distributor of Thermo Fisher Scientific Niton XRF analysers. We are the only ISO registered company offering a UK based service facility dedicated to recalibrating and repairing handheld XRF instruments. We have a large client base throughout the UK and Ireland with instruments in use across a wide range of industries, academic disciplines and government regulatory organisations. To help you pick the correct instrument to solve your analysis problem, our sales team will be demonstrating instruments at our stand P4 at Metals Recycling Event 2018.